يقع فندق Settlers Motel، المصمم ليناسب كل الضيوف سواء كانوا من رجال الأعمال أو السياح، في مكان ممتاز في أحد أكثر المناطق تفضيلاً في تورنج. يسهل الوصول إلى هذا الفندق ذو 3.5 نجوم من المطار، فهو يبعد عنه مسافة 40 km فقط. إن سهولة الوصول من الفندق إلى المعالم السياحية الشهيرة الكثيرة في المدينة كمثل فيرتكال ازولت وول, ‪Mount Ngauruhoe‬, ‪Tongariro National Trout Centre‬ هو استثنائي بحد ذاته. يقدم Settlers Motel خدمات لا غبار عليها وكل أشكال اللياقة وحسن الضيافة اللازمة لإسعاد ضيوفه. هذه بعض الخدمات الموجودة في هذا الفندق: واي فاي مجاني في جميع الغرف, تخزين الأمتعة, واي فاي في المناطق العامة, صف السيارات, مرافق للشواء. ادخل إلى واحدة من الغرف 8 وتخلص من عناء نهار طويل بمساعدة مجموعة كبيرة من الخدمات كمثل تلفزيون بشاشة مسطحة, اتصال لاسلكي بالإنترنت, اتصال لاسلكي بشبكة الإنترنت (مجاني), غرف لغير المدخنين, تدفئة الموجودة في بعض الغرف. صممت خدمات الاستجمام في الفندق والتي تتضمن مسار جولف - ضمن 3 كم, صيد السمك, سبا, ملعب للأطفال, حديقة لمساعدتك على الاسترخاء والراحة. يحظى فندق Settlers Motel بموقع ممتاز وخدمات يصعب منافستها. 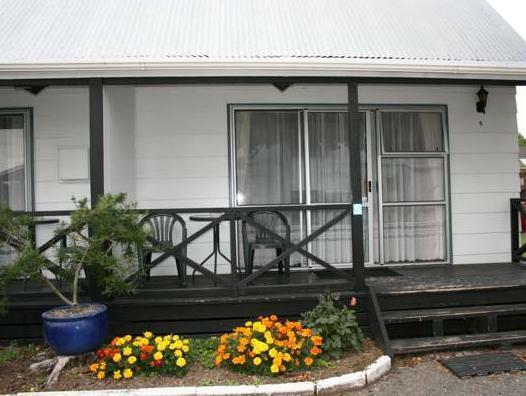 PLEASANT PLACE TO STAY, VERY HELPFUL OWNER, SPACIOUS CABINS, SAUNA & CAR WASH FACILITIES. 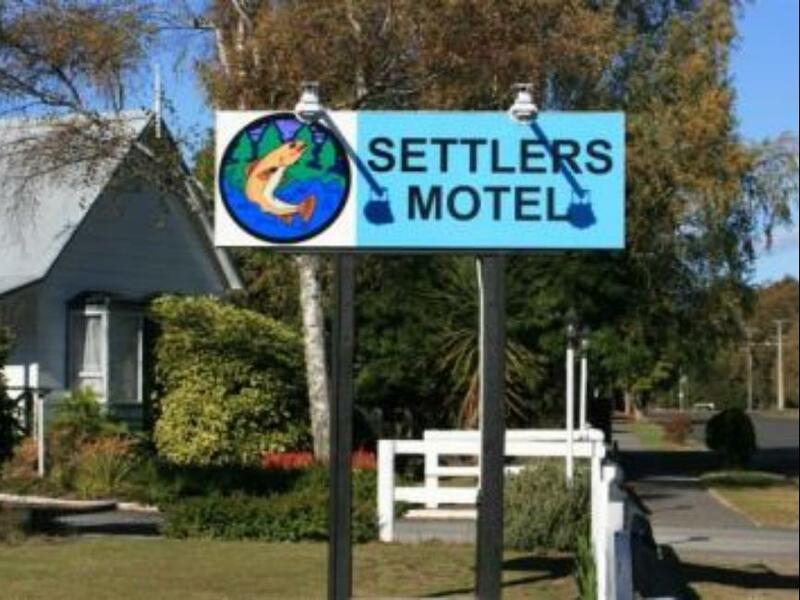 We stayed a Settler’s Inn when we spent 3 weeks in New Zealand March 2018. This hotel had a welcoming appearance, flowers, large yard, quiet. They were cabins that were connected to other motel rooms but never heard our neighbors. Our room as large and very clean and bathroom had plenty of room as well. Kitchen, many electrci plugs that were easy to get to. Beds and furniture were very comfortable. We had a nice deck and could walk to the river. There were hiking paths along river. Hotel had washer/dryer, clothes line and hot tub. Owner was nice and helpful. Easy to walk to grocery store and restaurants in town, there is a underpass below the highway to get to the downtown. Very pleased you enjoyed your time at Settlers Motel, my motel has been set up to make guests feel at home and comfortable. Thank you for your review. Pleased that you enjoyed your stay, Internet WIFI has been increased to 2 Gigabites per day. Thank you for your time to review us. I am working on finding a provider for WiFi where guest can have unlimited amount, hopefully this will happen by end of the 2017 year. The hotel owner/staff was very friendly and informative. Shower is a little weak for our liking. But overall, 2 thumbs up!!! 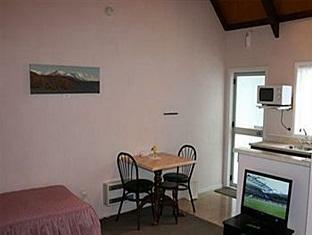 A good stay if you are around Turangi and on the way up to Mt Raopehu / Whakapapa Skifield from the North. Thank you for time to review us, much appreciated. 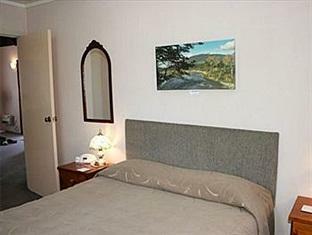 We consider Turangi to be the gateway to the Tongaririo National park where the Ski fields are located. There was a bit of traffic noise due to proximity to the main road, but the bed was very comfortable. Love how warm and welcome we felt from the time we checked in to the time we checked out. The owner was exceedingly friendly, even taking the time to print out an 8-page long summary of walks we could do while checking us in and coming by our car to say goodbye when we checked out. Utensils, cutlery, crockery were sufficient. Heater kept us less frozen especially in the mornings. Toilet was freezing and I really missed the heated toilet seats in Japan and Korea when I had to use the toilet here. Hot shower was good - beware the condensation on the floor. Great service by the owner and staff. We left our pan to soak and dishes to dry when went out and we're surprised to find them washed and kept when we returned - a nice gesture which we appreciate. All in all a comfortable stay. Would be back if we travel to the area again. Clean and comfortable. The owners were friendly and knowledgeable of the local area. 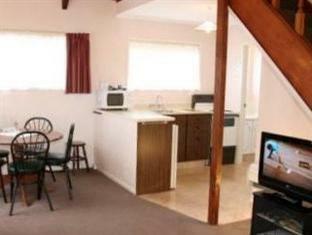 2 minute walk to restaurants, cafes and the river. Good value. Awesome place. Helen was a very nice host. She gave good suggestions as to where we could go during the day. 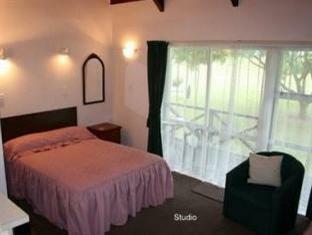 Place is really near to Whakapap Village and Taupo Lake. My kids love to play on the trampoline and swing. It's also really near to New World supermarket which has the cheapest chocolates. Our car is just parked outside. Safe, quiet, a really nice place. A gem. Quiet and conveniently located, especially for those on Lord of the Rings travels. Good price, easy access to foodshops, supermarket, petrol and easy to find. Overall I would say is just good value for the money. above average. It would be helpful if they indicated that their spa was under repair online as that was one key reason why we booked the venue.